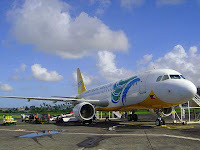 The Philippines’ number one domestic airline, Cebu Pacific (CEB), announces that it will begin flying from Manila to Surigao starting June 17, 2010. Its Cebu-Surigao service started last November 2008. Because of this, CEB is offering ‘Go Lite’ P999 seats from Manila to Surigao from May 5-7, 2010, for travel on June 17-September 30, 2010. Surigao, one of the gateways to premiere surfing destination Siargao, is also home to the Bonok Bonok Maradjao Karadjao Festival, which is celebrated every September 9. The airline also offers the ‘Go Lite’ seat sale fare of P999 to its leisure routes from May 5-7, 2010, for travel on June 8-September 30, 2010. These are CEB flights from Manila to Kalibo, Coron (Busuanga), Tagbilaran (Bohol), Dumaguete, Boracay (from Manila and Cebu), Puerto Princesa (from Manila and Cebu) and Siargao (from Cebu). Those who have check-in luggage will just add P100 upon booking. 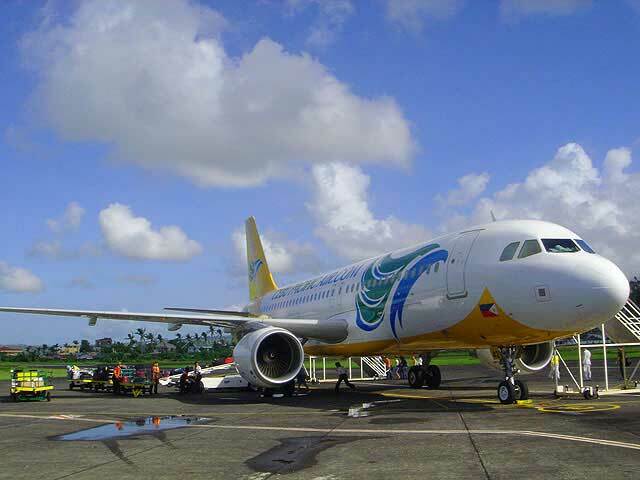 “With the addition of new flights from Manila to Surigao on June 17, CEB will operate a total of 51 domestic routes. This is in line with the expansion of our services within the country, to offer our trademark low fares to more Filipinos,” said CEB VP for marketing and distribution Candice Iyog. “Guests can take advantage of this 3-day seat sale to plan their travels in advance. They can go to www.cebupacificaircom, or call (02) 7020-888 or (032) 230-8888. Those who wish to book Fun Tours and hotel packages can also visit funtours.cebupacificair.com,” she added. Those who wish to get official updates on promos and flights can follow CEB on Twitter (cebupacificair) and Facebook Group (Cebu Pacific Air). Low fare pioneer CEB has an on-time performance of 91.8% for the 1st quarter of 2010. It flies to 33 domestic and 14 international destinations, using the youngest aircraft fleet in the country.